Vintage industrial stripped steel adjustable crank table. Would make a great bar. Dimensions 24"x 36" height adjusts from26.5" - 43.5"
An awesome addition to my home! Beautiful piece, exactly as pictured! It was beautifully restored and cleaned. Well packed and shipped. Kevin was very responsive. 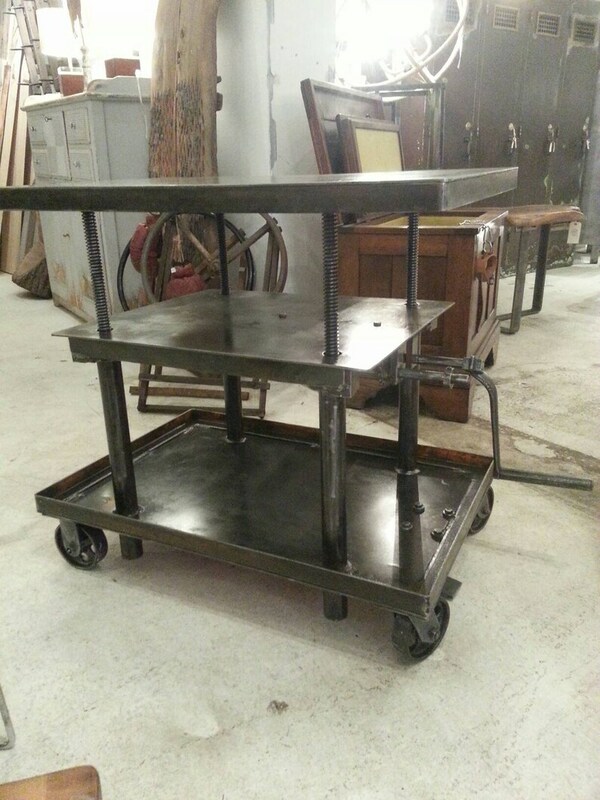 State Street Salvage accepts custom orders when possible , we also offer wholesale terms.